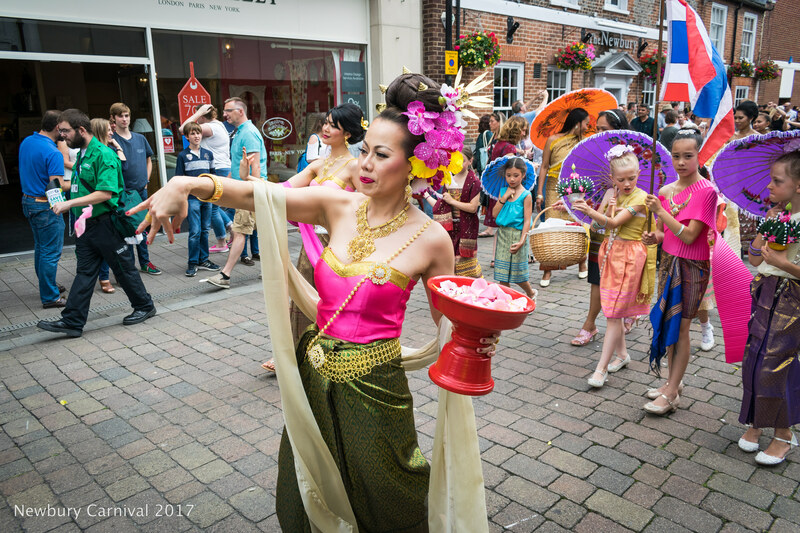 Massive crowds flocked to Newbury on Sunday to enjoy the Newbury Carnival Parade and Carnival Fete. 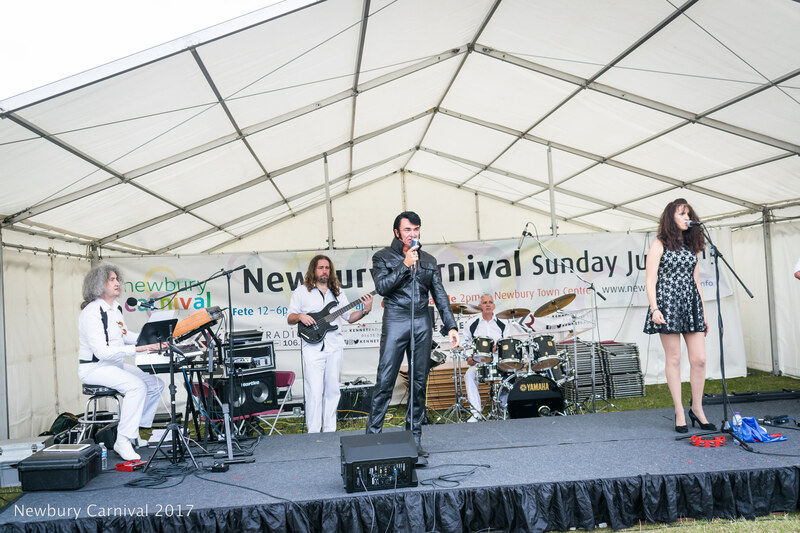 Newbury Carnival was opened by Newbury Town Mayor, Mr David Fenn at the Carnival Fete at 12.00 midday, shortly followed by a fabulous performance by local Elvis Tribute Band – ‘Trouble’ with their ’68 Comeback Special’ that was enjoyed by an appreciative large crowd. 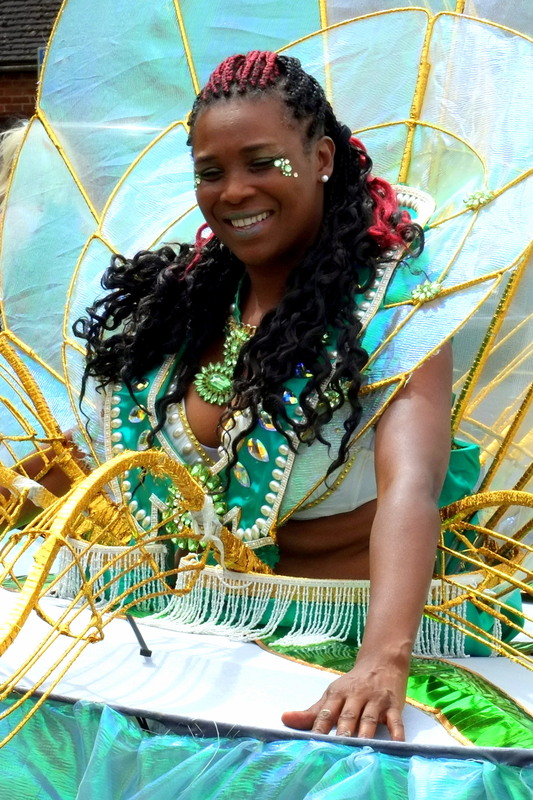 The main Parade started at 2.00 pm in Bartholomew Street, travelling through the centre of Town to join the Fete in Victoria Park. 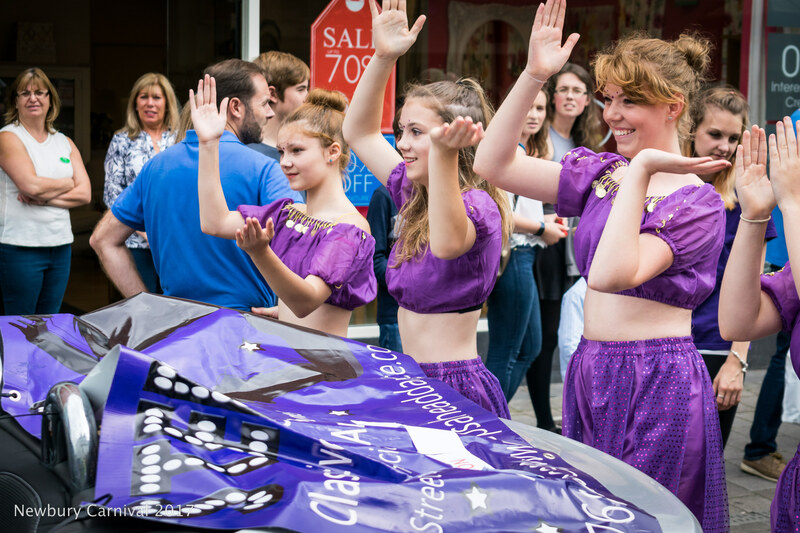 The crowds were treated to some spectacular entries including the impressive John the Giant, the Rampage International Mas Band, the Harley Davidson Drive Through and the Reading Scottish Pipe Band. The prize money was kindly sponsored by Kennet Shopping Newbury and the main stage was ably compered and managed by Kennet Radio. 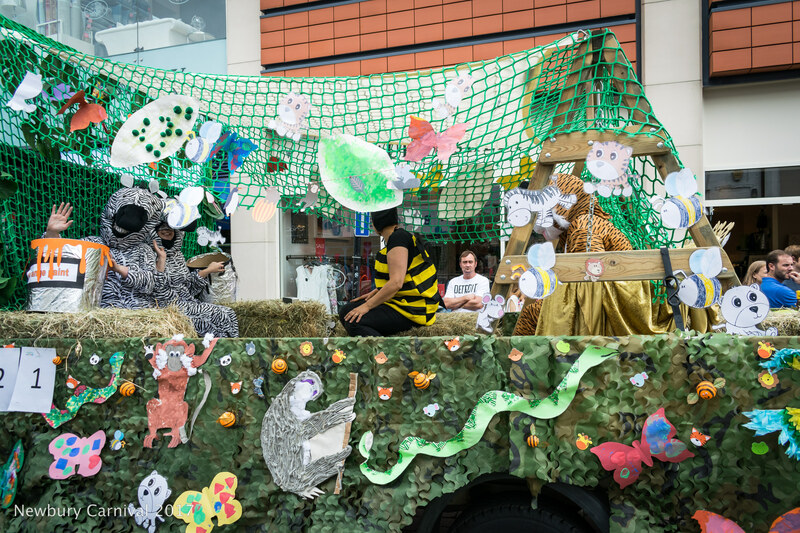 The major funder of Newbury Carnival 2017 was Greenham Common Trust. Thanks are also due to Newbury Bid, Newbury Town Council, West Berkshire Council and Englefield Trust. 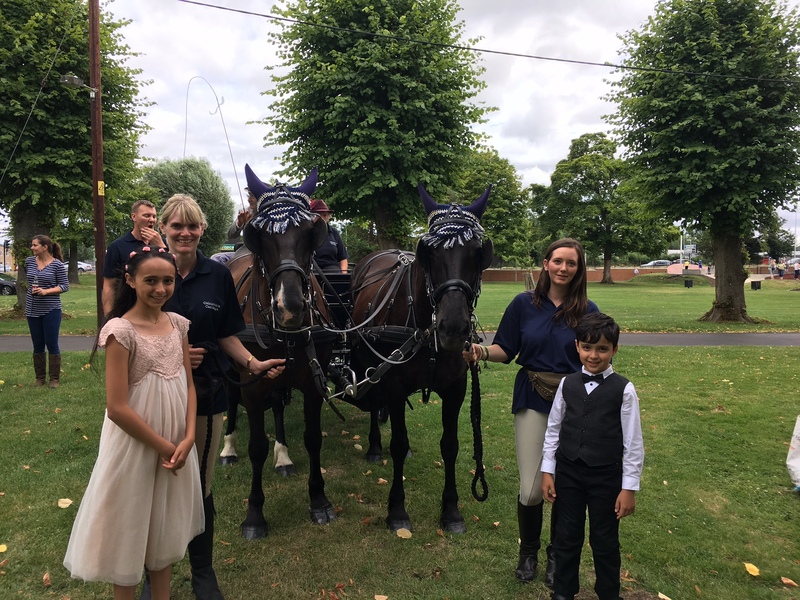 Support has also been received from Newbury Weekly News, Waitrose, Celebration Carriages, Buzz Magazine, Apple Print and Creative, Co-op Newbury and T5 Print and Design. 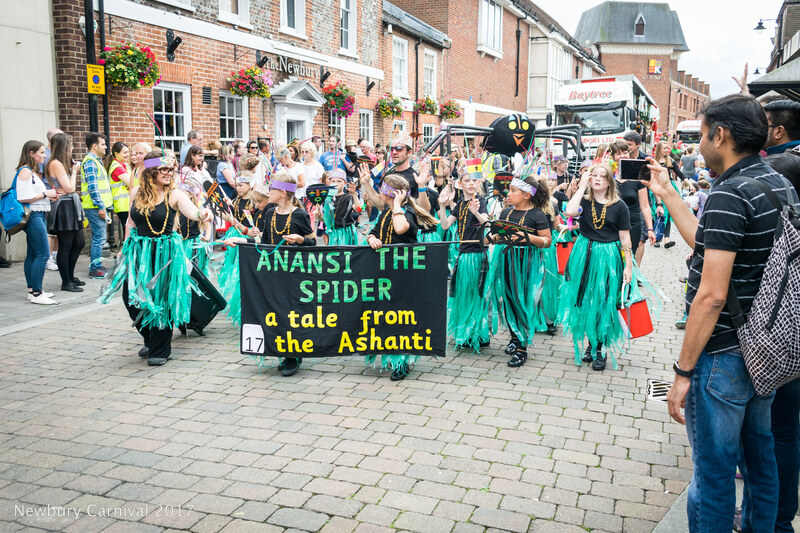 Newbury Carnival 2017 could not take place without this support.